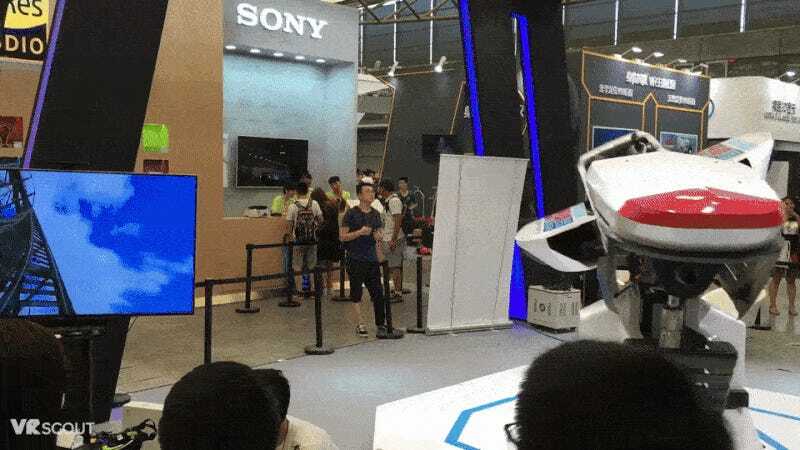 At the recent ChinaJoy gaming show in, well, China, a number of companies set up big VR displays. Some of them are similar to set-ups that exist in the West, while others aren’t. VR can—and does—get nutty just about anywhere, and China is no exception. Here are loads of images from Famitsu, 4Gamer and VR Scout showing the different booths and ride-like VR attractions. The barfiest-looking one was probably this contraption called “Hero Dream,” which does a good job of showing how VR can be incorporated in amusement parks and arcades as well as make people very, very sick.